Wandering through a forest of burned-out pop songwriting, folk simplicity and avant-garde stretches, I'm Not Jim hangs together not from a tightly built central idea, but by its ability to have so much fun playing around. Meshing acoustic instrumentation and electronics (think Beth Orton on steroids or Moby as produced by Rick Rubin) Lethem the lyricist and Humara the tunesmith emerge as this century’s Bernie and Elton - pre Tantrums & Tiaras that is. They may not be Jim, but Morrison would have inhabitedDrink ‘Til I’m Sober like a comfortable pair of leather trousers...highly recommended for fans of David Byrne, Gilberto Gil, Nick Cave, and John Cale. 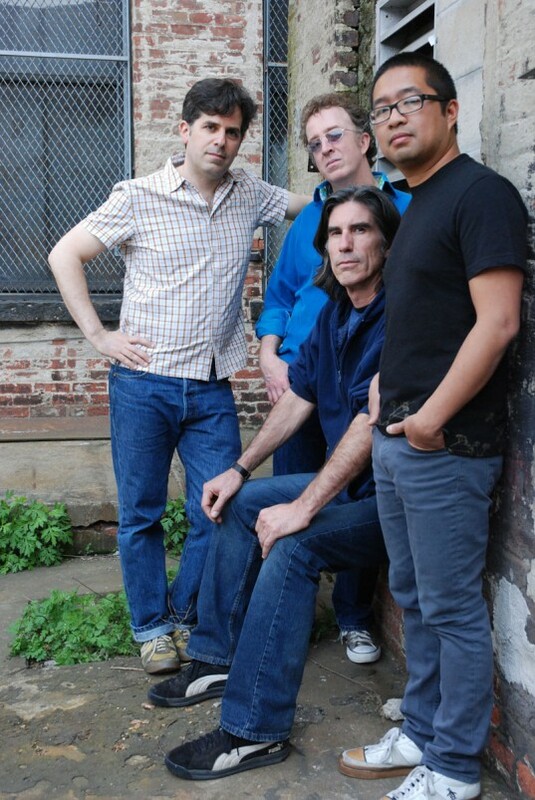 Silos singer/guitarist Walter Salas-Humara and acclaimed novelist Jonathan Lethem (Motherless Brooklyn, Fortress of Solitude) met at a Silos gig in New Orleans. 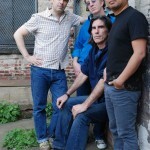 Jonathan describes, "I'm a two-decade Silos fan, and have seen Walter play in the various incarnations of his band eight or nine times over the years. When I introduced myself to him it was in the interest of sending him a few of my books, just as a token thank-you for his music. We got talking about writing some songs together. I hardly thought Walter needed help in any sense; he's one of the great American songwriters (see: "The Only Story I Tell", "Susan Across The Ocean", "I'm Over You" and so many others...) but I was flattered at the idea of supplying a Silos lyric or two. Walter, however, surprised me, and delighted me, with the focus of his intent -- he wanted to write a whole album with me, from the ground up, and to get outside his "Silos voice". We began writing and the result was sort of explosive -- giddy pop songs and mournful blues that came from their own strange angle, not quite like what either of us expected." So what exactly do these song sound like? Lethem and Humara's songwriting takes the ordinary pop, folk, or blues song and makes it the occasion for what you might call 'serious play' -- every lyric is grounded in emotion, but emotion twisted by language and wit into something recognizable but new. The melodies that spring from Walter's voice fitting itself to these unexpected syllables push the strength and warmth of his Silos work to a new range, sometimes featuring a Dylanesque self-consciousness or humor, sometimes a Nick Drake introspection. And when the skewed brilliance of the songs meets the paisley-pop-electronic-remix chops of Maxwell and Hernandez -- the Elegant Too -- the result always cuts against simple interpretation, pushing all the charm toward menace, and the sorrow toward ecstasy. A genre-bending collaboration between the renowned novelist Jonathan Lethem ("Motherless Brooklyn," "Fortress of Solitude") and songwriter Walter Salas-Humara of the Silos. The result always cuts against simple interpretation, pushing all the charm toward menace, and the sorrow toward ecstasy. This was a one-time collaboration. Ain't gonna be any tour dates. FREE MP3! I'm Not Jim's "Mr October"